i did some searching and it's a st garage axcent lip. I'm the guy that drives the SGM IS350 with ST-Garage front lip. Haven't really posted in this section but I am usually in the IS general discussion sections. 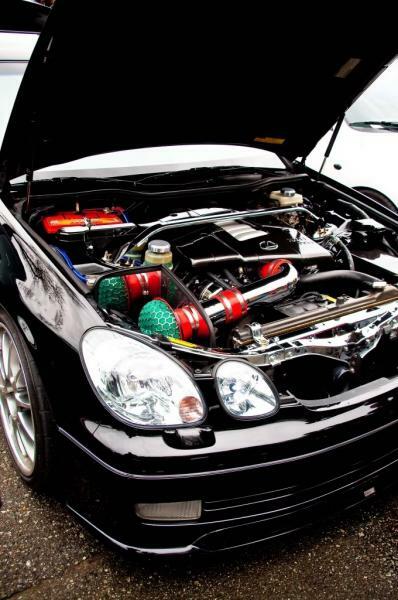 Hey guys, sry for bringing up an old thread, but can someone tell me what intake this is? Or who this car belongs to? Looks like just a polished SRT intake, but I wanna be sure. Dont they? I thought there was a hella expensive intake/chip combo SRT made for SC's? At least the vvt-i ones..
yea pretty expensive...300 or 400 methinks??? I thought it was closer to $5-600? Either way, I'm trying to purchase an exhaust at the moment, it that falls through I'll probably be picking up this intake (especially if I can find one used).. It is an SRT intake, I had it chromed. You cannot run this intake without their chip since it changes the MAF diameter.